Cooking rice recipes date back to centuries before actual recorded history. This grain is the oldest of all foods known to mankind. Even today, there is no other way than to present the family with such a variety of dishes at such an economical cost. Because of the mild flavor of rice, almost any ingredients you have on hand can be mixed with rice and still turn out a delicious recipe. 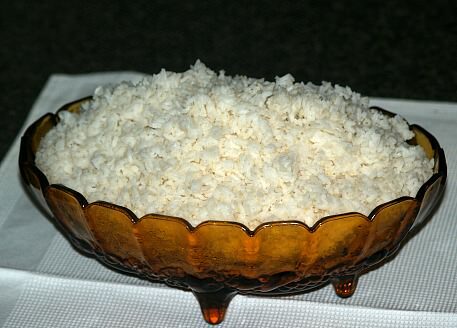 If you are going to be cooking rice recipes, know something about the various types of rice. Rice grows in three lengths; short, medium and long. After cooking the short and medium grain rice the grains will be soft and tend to stick together. The long grain rice will hold its shape and the grains will separate. When cooking rice recipes, some will tell you to use white rice and some will tell you to use brown rice. This color difference has nothing to do with the way it is grown but rather how it is processed. After the rice has been harvested the rice that remains has a light brown covering called bran. This “brown rice” has a nutty flavor and takes a little longer to cook than white rice. It also does not store as long as what white rice does. Even though the bran layer is what contains most of the natural nutrition, this bran layer is removed in processing to make the white rice. When cooking rice recipes, you will find most of the dishes to ask for white rice. It seems to be favored because of the soft fluffy texture and not for nutritional value. There is a modern processing method which replaces some of the nutrients into the white rice. WHAT IS WILD RICE? PRECOOKED RICE? CONVERTED RICE? Some other types of rice you will see referred to when cooking rice recipes will be precooked, converted and wild rice. Precooked rice is just what it sounds like; it requires minimal cooking. The converted rice has been processed so that the nutrition of the bran layer has been forced into the grains. Some of the bran layer has been left giving the uncooked rice a yellow color. Wild rice is not actually rice even though the name implies that. It is a seed from a different grass that grows wild in the northern part of the United States. It must be picked by hand and thoroughly cleaned by hand making it much more expensive to purchase. It must be cooked longer than the other rice and does absorb much more water. This is how I store my rice; others may not agree but it works for me. I usually buy large (25 pounds) bags of rice. I am always leery of bugs getting in it; even while sitting in storage. Like I do my flour and other starches, when I purchase it I place it in my freezer for 1 to 2 weeks. When I take it out I place it in one of my food storage containers. I started this process many years ago after bringing something into my kitchen that started a bug outbreak. Never again have I had a problem. When I cook rice, I often cook extra so I can use it later. If I plan to be cooking rice recipes within the week I simply cover it tightly and store in the refrigerator. I also package it in 2 cup quantities and place in freezer bags and freeze. I plan to use this up within a 6 month period. This makes it very convenient to make my recipes. NOTE: One important fact to remember about cooking rice recipes is that you never need to wash the rice. It should not be washed before cooking or after cooking. Washing only washes away nutrients. The processing has already cleaned the rice preserving as many nutrients as possible. Rinse scallops or shrimp; heat oil in large skillet over high. Add shrimp or scallops to hot oil; season with salt and pepper to taste. Sear scallops just until opaque or shrimp until pink. Combine seafood with rice, blackeyed peas, onion, celery and 2 tablespoons chopped parsley. In large combine and toss gently with Creole seasoning; add additional salt and pepper if desired. Garnish with additional parsley flakes. Melt butter in 1 ½ quart casserole baking dish; stir in other ingredients. Cover and bake in preheated oven at 375F degrees for about 1 hour. Cooking rice recipes can be a bread like this rice bread which is very good and more like a moist spoon bread. Beat egg whites until soft peaks form; beat egg yolks in separate bowl. Mix egg yolks in with rice, cornmeal, milk, baking powder and salt until well blended. Fold in the beaten egg whites; pour batter into a greased casserole baking dish. Bake in preheated oven at 400F degrees about 40 to 45 minutes. Combine all ingredients except oil; shape into small balls. Drop into hot oil; cook until crisp and golden brown. Fry bacon until crisp; drain bacon on paper towels and cut in pieces. RESERVE and set aside 8 tablespoons bacon drippings. Sauté onions in the skillet; add tomato paste, water, salt, sugar and pepper. Cook mixture uncovered about 10 minutes over medium low heat. Stir in rice, bacon pieces and reserved bacon drippings; spoon mixture into a casserole baking dish. Cover dish and bake about 35 minutes until rice is tender. Melt butter and add flour; blend well. Gradually add broth and milk; add salt and cook until thickened stirring constantly. Combine rice, chicken, mushrooms, pimento and green pepper; add to the liquid mixture. Pour into a greased casserole baking dish; bake about 1 hour. Cook rice in boiling water for 30 minutes or until nearly done. Mix drained rice with salt, eggs, sugar and raisins; dump into buttered casserole dish. Bake until light brown about 20 to 25 minutes; serve warm.